Regulations for better work environment in construction and urban development is getting stricter. The focus is on operator well-being and on the surrounding environment. This aligns with Atlas Copco’s strategy to direct product development efforts towards better noise reduction and dust collection. 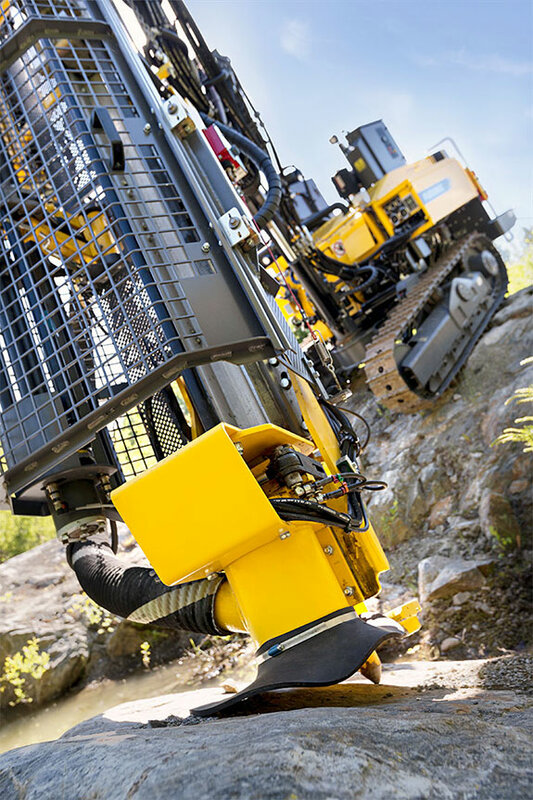 Atlas Copco has released two drill rigs, FlexiROC T25 R Construction Edition and FlexiROC T30 R Construction Edition, which are now updated to meet the market needs. The water mist can be used with the included tank or with and external water source. The tank can be insulated for arctic conditions. Using water mist when drilling will bind the dust to the water, preventing it from being inhaled by the operator and others in and around the job site. The new silence kit will reduce noise levels by as much as 10 dB and will also help in lowering dust levels. A new high-performance dust collection system (DCT) has been fitted. It has an intelligent cleaning system that will secure suction capacity in all conditions. Also, it is now easier for the operator or service technician to make filter changes. The new DCT is accompanied by a bag handling system, a closed system that will prevent dust from escaping into the air when splicing the bags. In addition to this, Atlas Copco is now introducing GPS aiming and satellite navigation for these radio remote controlled drill rigs. “I am very happy to present these new features, they will definitely help the operator to win the battle against noise and dust and will increase the overall productivity of the operation.” commented Global Product Manager, Marcus Leü.